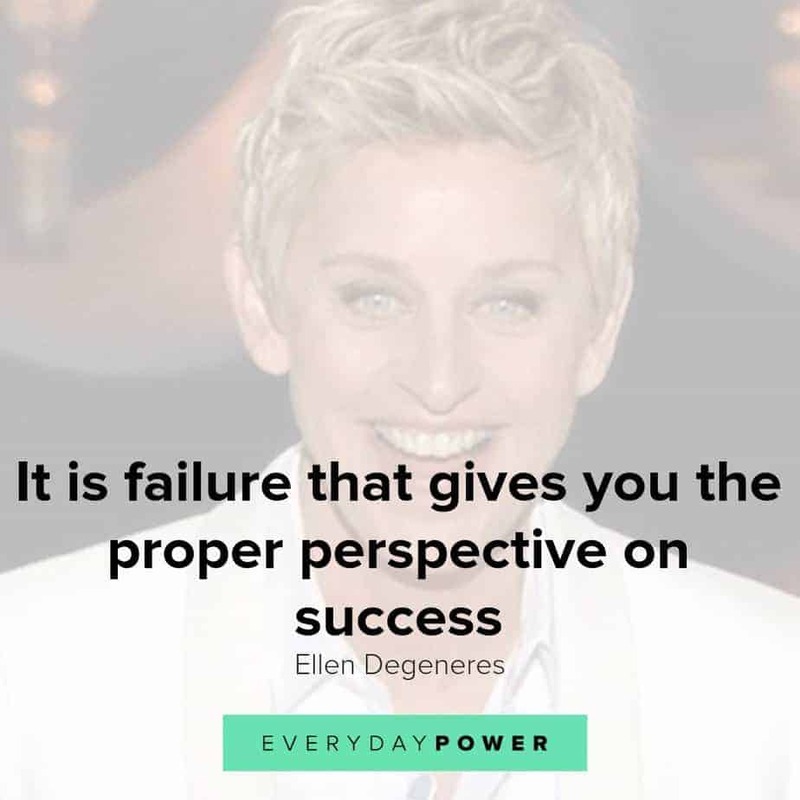 Our latest collection of Ellen Degeneres quotes on Everyday Power blog. Ellen Degeneres is one of the most popular present-day comedians and television hosts. She is well-known for her award-winning talk show, The Ellen DeGeneres Show, as well as being a staunch advocate of LGBT rights. Born on January 26, 1958, in Metairie, Louisiana, Degeneres started her stand-up career in the early 1980s. She has appeared as judge on American Idol and has hosted the Academy Awards, Grammy Awards as well as the Primetime Emmys. In addition, Degeneres owns a production company and is the author of four books. 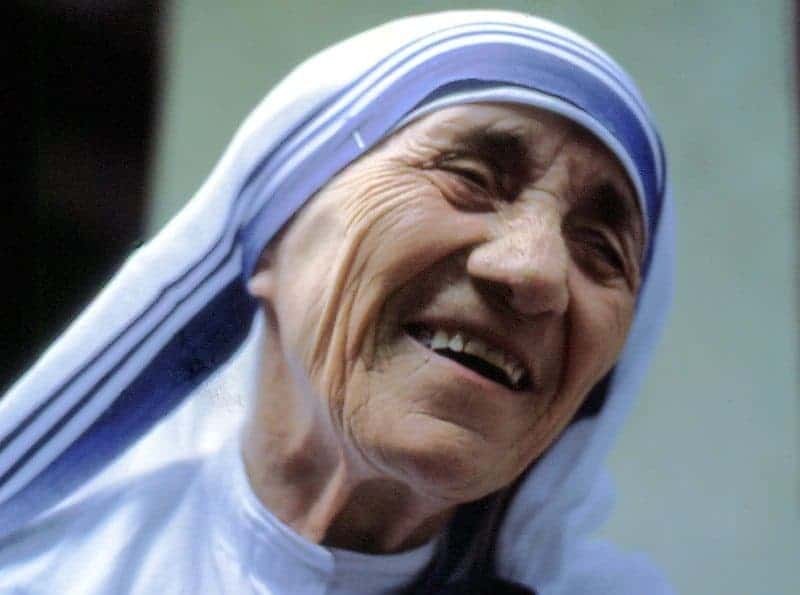 A successful media personality, she has received numerous awards for her work, and is also a recipient of the Presidential Medal of Freedom. 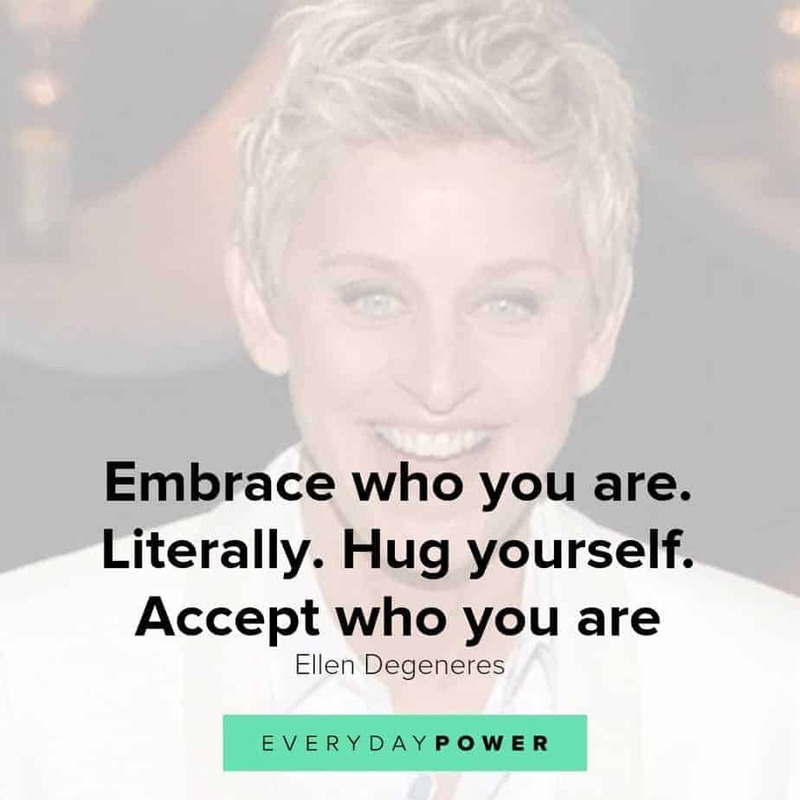 Here are some of our favorite Ellen Degeneres quotes on how we can live a life with meaning, purpose and joy! 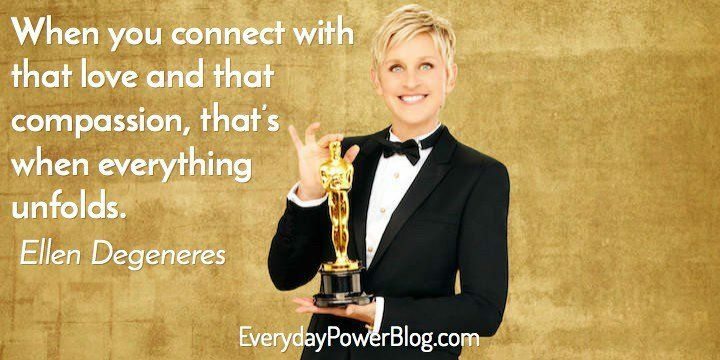 Which of these Ellen Degeneres quotes was your favorite? 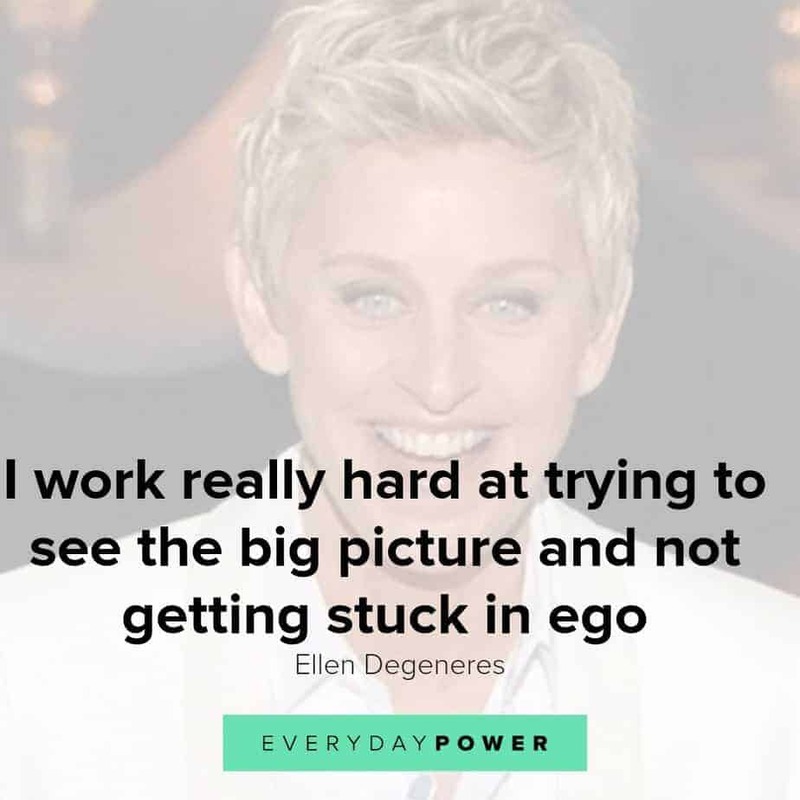 Ellen DeGeneres is one of the most popular and successful American television personalities of recent times. 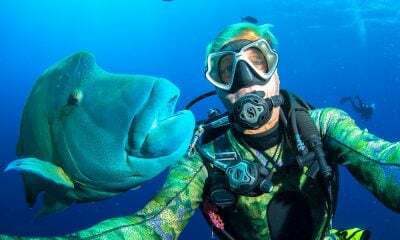 She is a talented host who has been amusing people for many years. 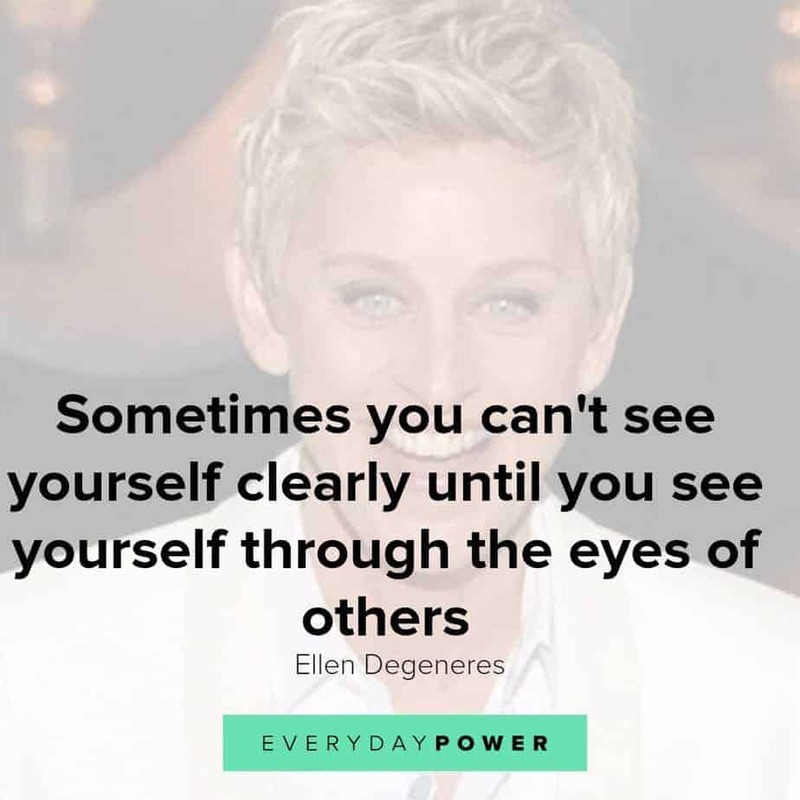 Degeneres is undoubtedly one of the most inspiring personalities of our times. 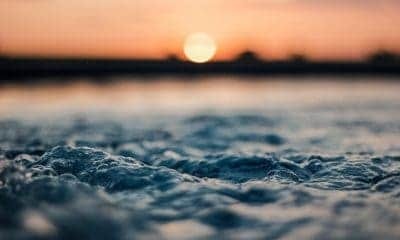 Hopefully, the above quotes will inspire you to be true to yourself so that you may live your dreams. 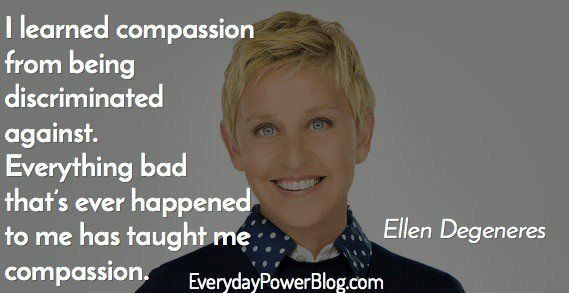 Did you enjoy these Ellen Degeneres quotes? Which of the quotes was your favorite? Let us know in the comment section. Amazing, thanks for motivating me. It’s our challenges and obstacles that give us layers of depth and make us interesting. Are they fun when they happen? No. But they are what make us unique. And that’s what I know for sure… I think. This is true, but one can only take so much. Laughter is such a great thing. I have love you since I first saw you at the improv in 1985ish and ur hilarious “Christian soldiers” hold music waiting for god. That changed my life. 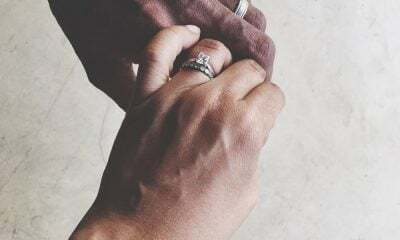 You have helped me in so many ways. Fortunately, I have met a few angels along my unfortunate way that deserve so much. I also believe In Kindness, treating people with respect. …. I’m sorry. My heart is over flowing right now. As soon as this claim is taken care of, I can’t wait to give back to the people who have literally saved my life. Geez. Sorry. Thank you for you’re gift of making people laugh. 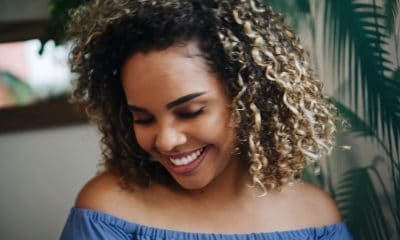 You are special, you are loved, you are a warrior.